Sorry if this is the wrong section, but I was wondering how does one get an accurate 'life size' object into outerra? I've tried using 3DS Max and resizing it with the units set to meters and making sure it is the same size as its real life counterpart... but it seems a lot larger than everything else in outerra. Is there any trick to getting it an accurate size for outerra? That is common in both, Max and Blender. Check your scale settings when exporting, whether in fbx or collada. I'm not sure what you mean by that. I've set the unit sizes in 3ds Max to meters and it's resized accordingly but it's an abnormal size in outerra. How are you exporting from Max to Outerra? If you are exporting to .fbx, check your scale settings in the fbx exporter, or do that in the collada exporter, if you are using .dae format. I'm using opencolleda, how would I change the exporting settings for that? Don't know about opencollada settings... I would recommend you to start using the .fbx exporter (ctrl+F7 in Outerra)... Is the format that will prevail here. 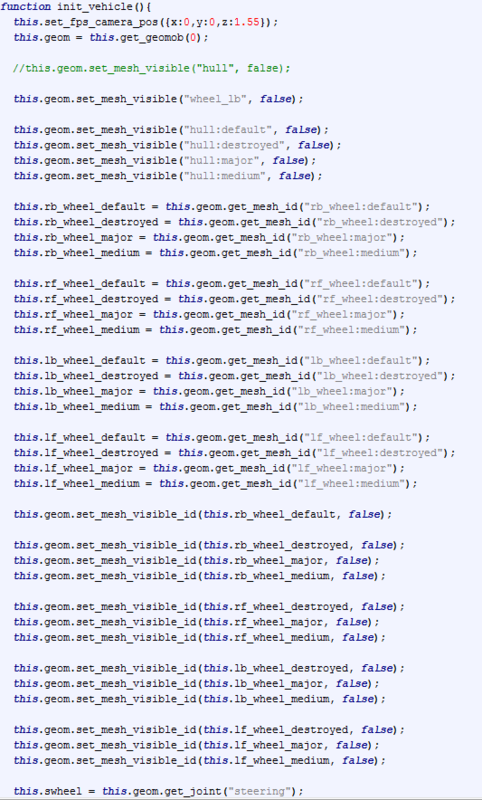 Yeah, I put it in the init_vehicle and it doesn't seem to do anything... what I have should render it 90% invisible. Turns out outerra renamed the : to _ so it's now working , thanks. ... what, the importer did it automatically ? Yeah, it renamed the mesh from thing_thing:thing to thing_thing_thing.